Get your hit of your favourite muscle-building macro and add some excitement to your diet with high-protein snack recipes from SMG. As lifters, protein makes up a big part of our diet. They’re the building blocks of muscle growth, we can’t get enough of this handy macro. However, there’s only so much chicken you can eat and protein shakes you can drink without getting a little bored on a high-protein diet. When boredom hits, cravings can kick in and they can be enough to tempt you into a cheat day. With these snacks, you can enjoy the occasional sweet treat, without compromising your diet. To help you include more of that all-important muscle-building macro in your snacks, we’ve got a range of high-protein snack recipes that’ll inject a little more excitement and flavor into your daily menu. Sometimes, when you’re on a high-protein diet, its easy to prep for every day, and be so focused on the macros, you forget to add something delicious to your menu. A well-balanced diet should be both nutritious and tasty, so you’re less likely to give up on it. We’re not saying go all out and buy chocolate bars and bags of chips, quite the opposite. A delicious high-protein snack can add a little guilt-free indulgence to your diet and help you hit your macro intakes at the same time. If you’re looking to gain muscle, they’re a super convenient way to up the amount of protein you eat on a daily basis. You can simply add them to part of your food prep routine and enjoy them at any time of day. Unhealthy snacking is often the Achilles heel of an otherwise well-rounded diet. When you’re hungry between meals, it’s difficult to make a diet-conscious choice unless you’re prepared. Temptation is everywhere girl and it’s often the easier decision to just grab a bag of chips from the store. But us lifting girls don’t go down the easy route. Instead of getting hangry and making rash decisions, include some of these tasty snacks in your meal plan. You’ll enjoy a guilt-free treat and add more protein to your diet. It’s all round bonuses. To help you make your own snacks and add a new, hunger blocking dimension to your diet plan, we’ve found five super simple high-protein snack recipes. 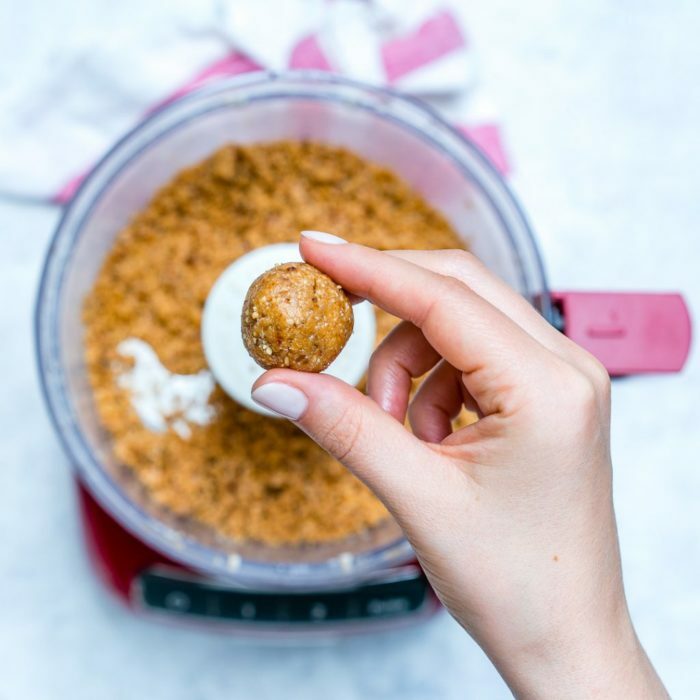 You can batch cook these delicious treats and always have them on hand to combat hunger and keep your protein levels topped up. Put a delicious twist on a plain protein shake. This is a whole lot creamier and more satisfying than your usual post-workout drink, making it feel like a more indulgent choice. 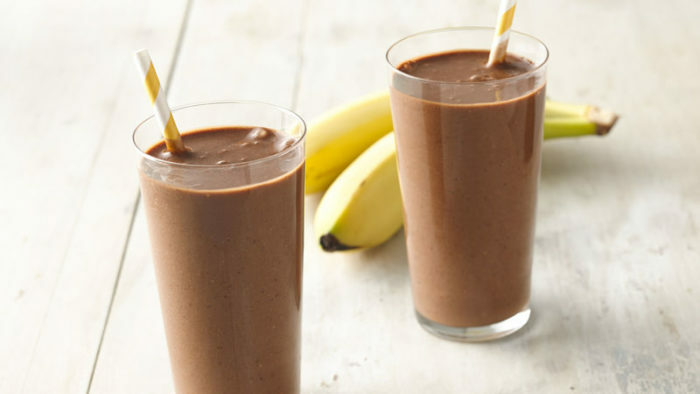 Who could say no to such a tasty, yet guilt-free chocolate smoothie. This is a great choice for a satisfying, mid-morning treat. What’s more, the yogurt and banana add a creamy texture that tastes so good, you won’t even notice you’re not having the real thing. 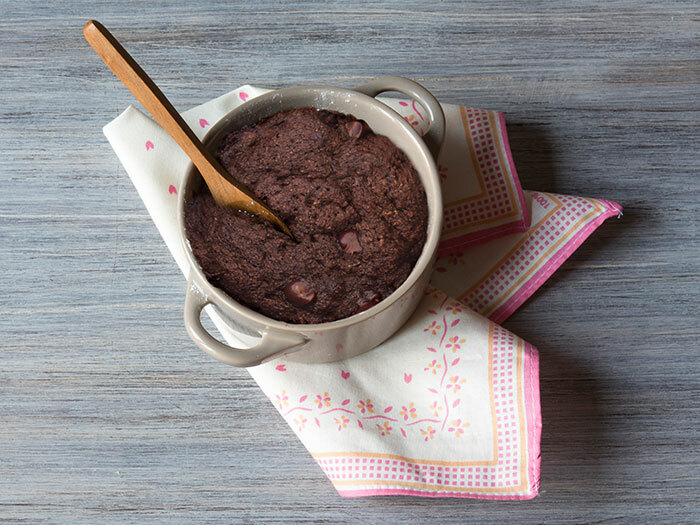 This little snack is not only a chocolatey treat, it’s packed full of protein – perfect if you’re in the mood for something sweet but don’t want to ruin your gains. What’s more, there are only four ingredients in this one, so you don’t have to be a culinary goddess whip up something delicious. 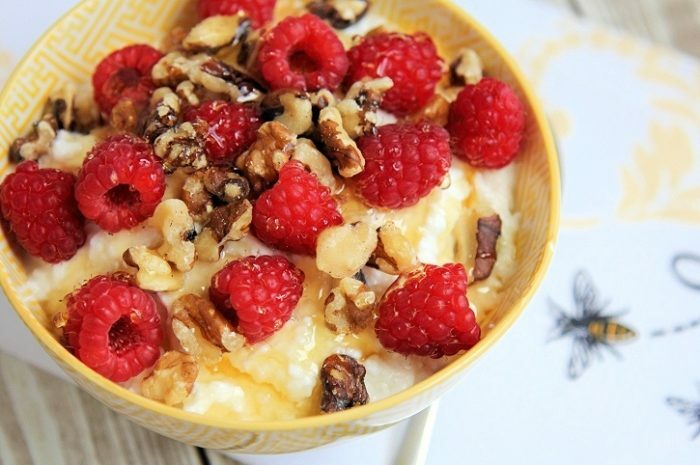 For a little extra flavor, spoon some Greek yogurt on top, and maybe a couple of raspberries. It’s the perfect high protein snack recipe to give you a sweet treat before you head off to bed. 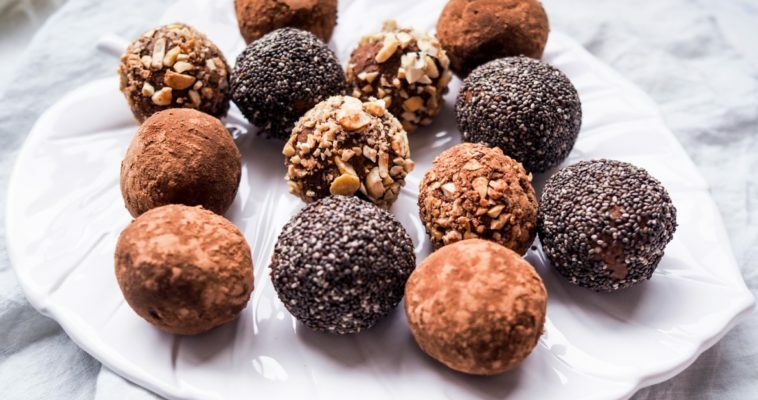 If, like us, you’ve spent any time in the protein snack section of your local store, you’ll definitely have seen companies advertising protein balls on the shelves. Usually, they come with a pretty hefty price tag for such a small snack, but girls, don’t fall for that. You can make them yourself at home. If the mixture is too dry and isn’t becoming sticky, add in more of the liquid slowly. It should still hold its shape. These useful snack balls are ideal if you’re looking for a pre workout boost. The oats give them plenty of slow release energy so you can max out in your next gym session. Pair it with our favorite pre workout drink, 4 Gauge for next level results in the weights room. This delicious snack is the perfect mid-morning treat. It’s an easy, tasty way to bring more variety to your dishes and more protein to your diet. Simply put these ingredients in a container and enjoy it whenever you need to put a stop to those hunger cravings. It really is that simple to make this one. It’s a tasty, protein-packed alternative to a yogurt and will satisfy your sweet tooth after a meal. 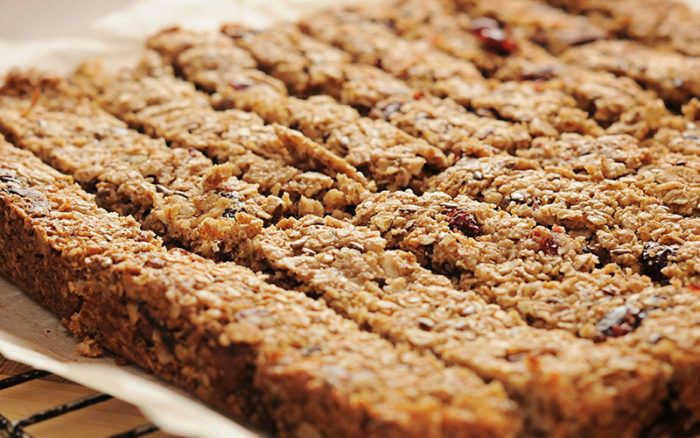 A protein bar is a fantastic way to get your protein fix in an easy-to-consume format. You can buy these, but often the flavors are a little too synthetic for us, we prefer to make our own so you know exactly what’s going into it. We’re self-confessed peanut butter fanatics, and this protein bar delivers on flavor, as well as your muscle-building macro. It’s the perfect way to fill up on all the right stuff, as well as enjoying a sweet treat. Add these tasty bites to your meal prep repertoire and perfect the art of guilt-free snacking. With them on the menu, you can keep those pesky hunger pangs away, avoid temptation and add to your performance at the gym. You’re welcome girls.